To celebrate this year’s Ricoh Women’s British Open, Today’s Golfer has teamed up with the Championship Organisers to offer one lucky reader the chance to win a fantastic pair of season pass (4-days) tickets to attend the event at Royal Lytham St Annes from 2nd – 5th August. The Ricoh Women’s British Open is one of only two women Major’s played outside the US and is one of the most internationally represented Majors in golf with last year’s field boasting players from 27 different nations, including 25 of the world’s top 25. Royal Lytham St Annes is famous for staging Major tournaments on both the professional and amateur circuit hosting eleven Open Championships, two Ryder Cups and the 2015 Walker Cup and the annual Lytham Trophy. This year represents the fifth appearance of the Women’s British Open, and first since 2009. The field for 2018 will be equally as strong and will include the likes of reigning champion I.K. Kim, China’s first World No. 1 Shanshan Feng, the youngest ever world No. 1, Lydia Ko, Americans Lexi Thompson, Michelle Wie, Stacy Lewis and Paula Creamer as well as past champions Ariya Jutanugarn, Inbee Park, Yani Tseng and Mo Martin and UK favourites Charley Hull and Catriona Matthew amongst others. If you want to be in with a chance of winning this fantastic prize, please answer the following question and enter your details below! 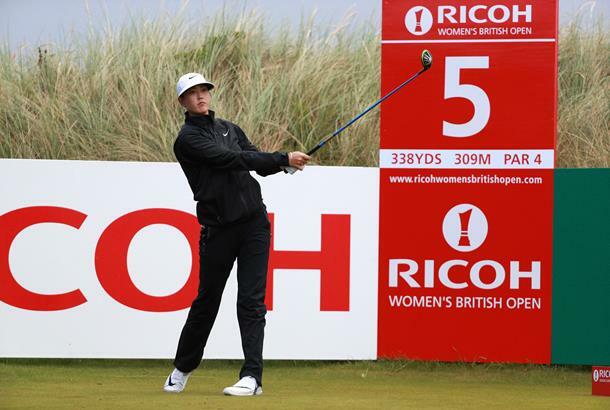 Ricoh are the proud sponsors of the 2018 Ricoh Women's British Open. All personal information provided in connection with this competition will be held in accordance with the Data Protection Act 1998 and shall not be passed on to any third parties. We may wish to contact you in order to provide you with information on similar events, products and services which we think may be of interest to you. If you do not consent to your personal information being used in this way please tick the box.